MANILA – President Rodrigo Duterte tapped former military colonel Allen Capuyan as the executive director of the national secretariat for the National Task Force to End Local Communist Armed Conflict. In his appointment paper that was signed by Duterte on March 26 but was only released publicly on Saturday, Capuyan was named as the head of secretariat of the task force dealing with communists. Capuyan was a former Manila International Airport Authority official and was also designated as the presidential adviser for indigenous people’s concerns last year by Duterte. 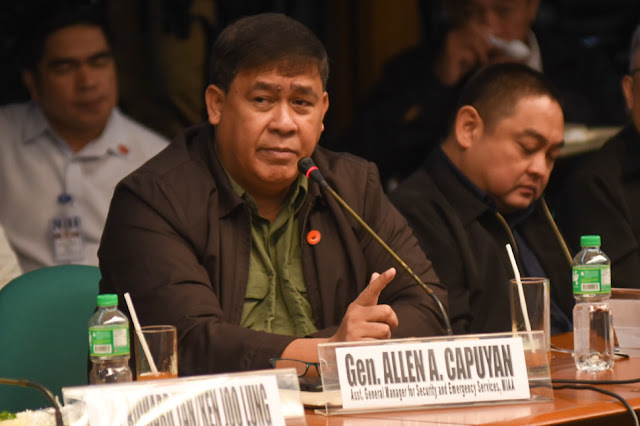 Capuyan was previously accused to be involved in the P6.4-billion shabu smuggling after his name was implicated by Senate witness Mark Taguba as the one who provided him, via mail, tariff codes that were supposed to give him access to the express lane. Capuyan was also allegedly involved in the “Hello Garci” scandal during the Arroyo administration when he was still the chief for operations of the Intelligence Service of the Armed Forces of the Philippines. The National Task Force to End Local Communist Armed Conflict, which was created in December 2018, aims to address causes of armed conflict at the local level by ensuring the provision of social services, employment opportunities, and improved quality of life in communities affected by armed communist conflict.